It was reported that a few farmers in the village had received notices from a bank for repayment of loan taken after pledging the land owned by the government school. 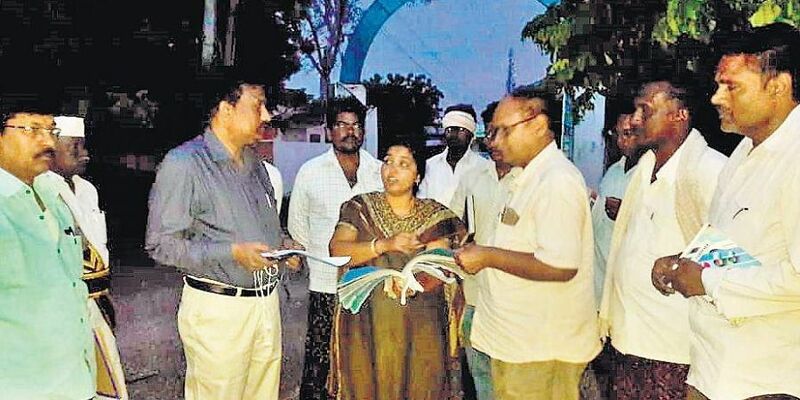 GUNTUR: In the wake of reports that land belonging to a Zilla Parishad High school in Savalyapuram mandal of Guntur district was hypothecated by a few private persons from Potluru village of the same mandal, Minister for Human Resources Ganta Srinivasa Rao directed the officials concerned to conduct an inquiry and register criminal cases against those found guilty. It was reported that a few farmers in the village had received notices from a bank for repayment of loan taken after pledging the land owned by the government school. Taking serious note of it, the minister ordered for a detailed inquiry. On Tuesday, Narasaraopet RDO Srinivasa Rao along with, Savalyapuram Tahsildar, Koteswara Rao Naik visited the school as part of their inquiry. They will shortly submit a report to the State government. According to sources, the land that was reported to have been pledged with the bank for the loan of `5 lakh is different.